2 trees planted in memory of Henry O. Wallace, Jr. Celebrating the life of Henry O. Wallace, Jr.
Be the first to share your favorite memory, photo or story of Henry. This memorial page is dedicated for family, friends and future generations to celebrate the life of their loved one. 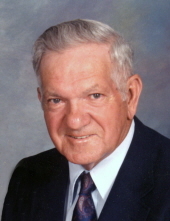 Obituary for Henry O. Wallace, Jr.
Funeral services for Henry Oscar Wallace, Jr., 83 of Kershaw, will be held at 3:00 o’clock pm, Friday, March 29, in the sanctuary of Midway Baptist Church. Rev. Steve Warren and Mr. Floyd Helms will officiate. Burial will follow in the church cemetery. The family will receive friends Friday, March 29, one hour prior to the service beginning at 2:00 o’clock pm in the church sanctuary and other times at the home. Mr. Wallace passed away, Wednesday, March 27, at Atrium HealthPineville, NC. Born in Lancaster County, he was a son of the late Henry Oscar Wallace, Sr. and Grace Horne Wallace. He retired from Springs Industries and was also a farmer. He enjoyed bee keeping, farming and the outdoors. He was also a faithful member of Midway Baptist Church. Surviving are his loving wife of 58 years, Betty Broome Wallace of the home; his daughter, Renee W. Vargas and her husband Gabriel of Lancaster; 3 grandchildren, Humberto I. Rivera, Armando S. Rivera and Alexis M. Rivera; numerous foster children and siblings, Louise W. Stoddard of Kershaw and Steve Wallace and his wife Elizabeth of Heath Springs. In addition to his parents, he was preceded in death by a brother, Billy Wallace. Memorial contributions may be made to Midway Baptist Church, 7760 Old Jefferson Highway, Kershaw, SC 29067. To plant a tree in memory of Henry O. Wallace, Jr., please visit our Tribute Store. "Email Address" would like to share the life celebration of Henry O. Wallace, Jr.. Click on the "link" to go to share a favorite memory or leave a condolence message for the family.